When the Internet was getting started in Cuba, there was a high level debate on whether to welcome or fear it. They faced the dictator's dilemma -- whether economic and cultural value of the Internet justified the political risk. Finance Minister Carlos Lage, said "yes" and Raúl Castro said "no." Raúl won. In arguing for the Internet, Lage spoke of its economic value, comparing the cost of a telex to that of an email. He was correct, but the cost to the economy may not have been as important as the cost to the education system. Most students use their limited internet access at the school (forty minutes a week for each student, depending if you can talk your way in for some extra time) for communication. We furiously upload email attachments of letters home while copying and pasting messages from our inbox into microsoft word documents to read later, off the clock. Compare that to a US medical student who has near-instant access to over 21 million citations for biomedical literature from PubMed, Web sites of professional societies, the National Institutes of Health, professional social networking, Google and Google Scholar, etc. The ALBA-1 cable could help close this gap. We have been discussing the cable lately, and it appears that it is not yet providing Internet connectivity to Cubans, but it is being tested and used used to operate the Venezuelan ID system. Writers like Yoani Sanchez attribute the lack of cable connectivity to political fear, and they may be correct, but, even if the government wanted wide-spread access, the domestic infrastructure to support it is not in place and Cuba cannot afford it. The cable may be operating, but there is little modern "middle mile" and "last mile" infrastructure. Since Cuba cannot afford general high-speed connectivity, they must use the cable selectively, and higher education would be a good place to begin. Students like Greg Sowa would obviously benefit, but so would faculty. Furthermore, education could be a source of revenue. The online education market is taking off, and universities, non-profits, private companies and venture capitalists are vying for a place in that new, global marketplace. There is considerable diversity among the offerings and the student goals, but, the majority of current offerings are in English, leaving an opportunity for Spanish language material. Cuba could be in a good position to satisfy that need. For example, Cuba has considerable medical expertise. 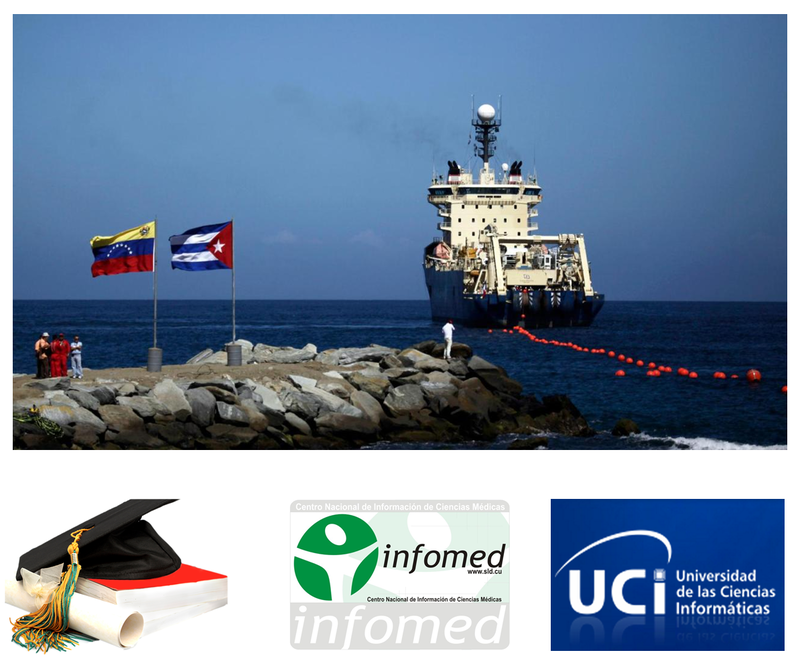 If they upgraded the Infomed network and connected it to the cable, they could offer medical education in Spanish and tailored to the needs of Latin America and the Caribbean. My own university provides an example of the sort of thing that could be done. We offer a state-wide nursing program online. The program is successful and has been running for several years. Cuba could be in a postion to do something similar (perhaps even in collaboration with our nursing program). Computer science is another promising area. The most visible and largest online classes to date have been in computer science. Elite schools like Stanford, MIT and the Indian Institutes of Technology are going online. Cuba has a specialized University of Informatics Science (UCI). Could UCI not do the same? Cuba cannot afford to connect everyone on the island, and would not want to if they could. This sort of focus -- where Cuban expertise is applied toward a postive social goal that also generates revenue -- may be a way to bootstrap Cuba's entry into the Internet era. After a simple study based on everyday observations, I am quite surprised that, in the six months I have been searching for materials on YouTube – about subjects as broad-ranging as literature, philosophy, journalism, film and many others – I have not once come upon a single Cuban video. It's not easy to use the Internet in Cuba. I go there regularly and I'm aware of that. Yet Yoani Sanchez seems to have no difficulty posting her materials online. Why is that if connectivity is so restricted? Considering Washington's active program to destabilize the country and overthrow the Cuban government (Alan Gross is an example), one ought to be able to understand any caution which the Cuban government might exercise in regard to the Internet. Consider, for example, the recently-revealed US-Israeli program to attack Iran's computer system, as reported by David Sanger in the New York Times a few days ago. It was titled Obama Order Sped Up Wave of Cyberattacks Against Iran and a Google search would bring it right up. I'm in no position to answer why Cuban internet connectivity is limited beyond guessing and speculation, but as to why they should be cautious, it seems rather obvious. 1. I do not know where Yoani Sanchez gets online, but I do know that it costs her a lot and is slow. http://laredcubana.blogspot.com/search/label/alan%20gross. It is my opinion that had Gross succeeded it would have had little impact and that it never should have happened. I also feel sorry for him and his family. 3. You should not equate a misguided, clumsy attempt to get a few satellite links into Cuba with things like Stuxnet and what may come after. The sorts of things nations are beginning to do are significant and serious. 4. I have no idea why you could not find that article on Google. (Are you in Cuba)? The last few days have seen a spate of articles on offensive US cyberwar -- one today in the NY Times by Kaspersky, one on the cyberwar program in the Washington Post, a headline on the Huffington Post, etc. etc. I just Googled "cyberwar," restriced to "news," and got 26,400 hits. The entire first page was articles issuing notes of caution. Now, let me ask you a couple of questions. 1. Why didn't you comment on the point I was making in this post? In case you did not read it, I was talking about the possibility of using the capacity of the ALBA-1 cable for online education. 2. Why did you stop publishing posts I sent to your blog? Hi Larry, I would bet that @Walter Lippmann works for the Cuban government... I have no proof of that of course, by the way he/she/them explain(s) these ideas is way too similar to the style of the government propaganda that I have heard and read during my entire life. About your post, it is a great idea, I hope it gets to the right eyes or ears in Cuba. 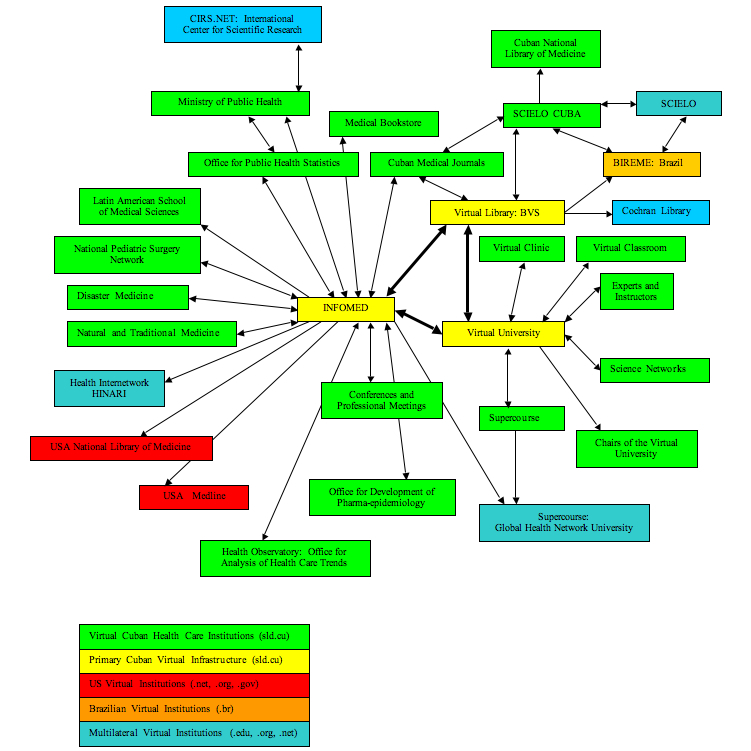 I used MIT open courses quite a lot when it started, during my university studies. We used to have in internal mirror in the library for students to use, and we used to update it once every few months during the night to save bandwidth. It is probably still there safe and sound. As you say, it echoes the Cuban government. A year or two ago, he posted a couple of things I submitted, but suddenly stopped. I don't know if he works for the government, but regardless, he is afraid of open discussion and sees the world through black and white glasses. I posted the idea because, like Walter Lippman, I would like to see Cuba and Cubans enjoy the rewards of (even controlled) connectivity. What a waste it is to have students being limited to out of date, low bandwidth mirrors of MIT Open Courseware when they could have so much more and deliver more to the world. Cuba has a lot to gain and a lot to give. I totally agree with you on your previous replies to Walter's comments. I just had a look at the Yahoo Group he moderates and the position and purpose is obvious. By the way, I've read some information about him and he has very close ties with the Cuban government. What's more interesting is that if he were Cuban, living in Cuba, doing the same job (furthering the political agenda of another country - in Cuba they would say "enemy country"), he would be in jail. So, he is making use of a democratic right, which is totally banned to the Cuban citizens in their own country. Now, going right to the point, definitively having the cable used for Universities is at better than nothing and the potential economic benefits behind the use of internet are simply incalculable. Think about this simple fact, when India decided to open to foreign investment, do you remember how many companies moved their call centers to India? Cuba has good Universities and well educated and instructed people, who work for 20 USD per month. This could be a business just as a starting point. I can't hardly think about something that would really bring changes to the lives of the Cuban people other than free access to internet (I mean information). But let's not kid ourselves, one thing is possibility and another will. If you really want to understand the logic behind the decisions taken by the Cuban government the first thing you need to take into account is that you cannot use the logic. This is simple, free internet access - access to information - independent thinking - capacity to decide - and most importantly, capacity to mobilize and take actions, all independently of the state. What's this? Change. This is something that the Cuban government will never allow. Aren't they learned a lot since 1989? Likewise, I see the same logic behind the recent signs of "economic opening". I don't think that in the foreseeable future they will allow the Cuban citizens to setup companies. They want citizens depending on the State, on the structures controlled by the government-state. So, by the moment I'm pessimistic in relation to this idea of the limited use (at least) of the cable by the education sector. I'd really like to see I'm wrong. I agree that the Cuban government would not want free Internet access, and, even if they did, they could not afford it. (That would take foreign investment, which will not be forthcoming with the current government). But, something is better than nothing. They do have the cable and they could afford connectivity for, say, INFOMED and some universities. That would benefit Cuban education and research and the cost could be offset by revenue from online education. As you say, they have well-qualified people who are paid very little -- they could make a contribution to the Spanish-speaking world. stop the 50 year old blockade. The rest will follow. That would surely help -- particularly in the long run as foreign investment increased. It would also help with collaboration with educators in other nations. But I think Cuba could use the cable to benefit the Cuban people quickly with or without the embargo.